The Cotton Pigue Mentality lives! Actually, this is NOT the legendary Cotton Pigue Mentality. It’s The Bog Trotters Band, back in 1937. 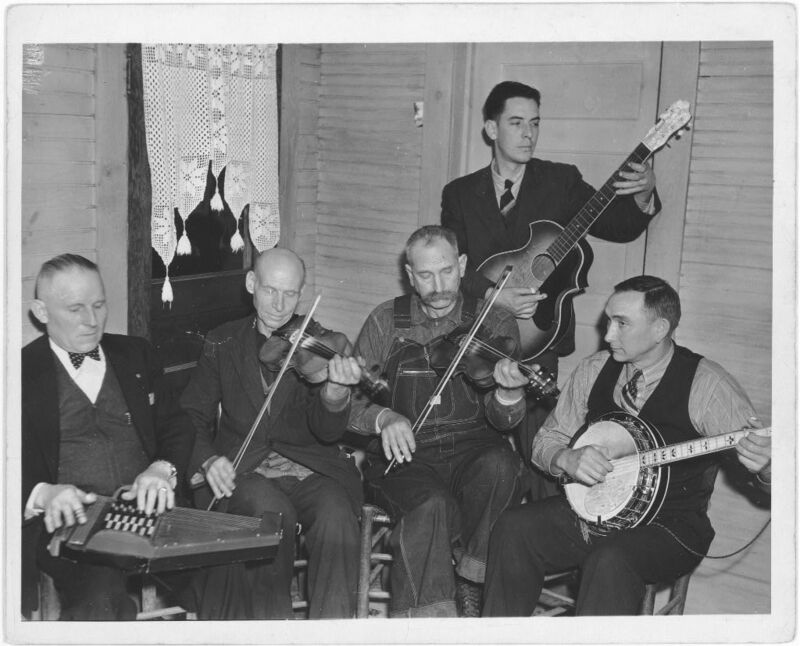 I just needed a Bluegrass picture that was old-timey. This is a way, way inside joke, but I thought I’d share it as an illustration of how things don’t change much. Back in the late ’70s or early ’80s, when I was working at The Jackson (TN) Sun, a judge in a nearby county had a case before him that seemed designed to reinforce every right-winger’s nightmare stereotype of the Welfare Queen. A poor black woman had a houseful of kids, and a couple of her daughters had several of their own. All told, there were about 20 people in the household, if I remember correctly — all women and children. I forget why they were before him. What I recall is that this old white guy (he was not much older than I am now, but back then he seemed ancient) decided to lecture these women and tell them they needed to stop having children out of wedlock. 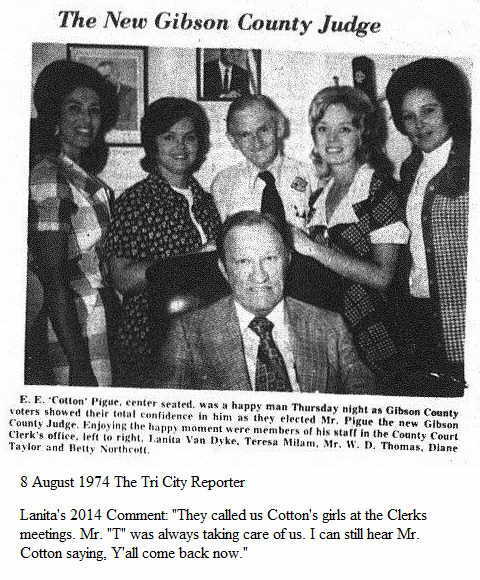 The judge’s name was “Cotton” Pigue. It caused a bit of a sensation in West Tennessee when that was reported, and as you might imagine, while some had a “You tell ’em!” reaction, others were quite critical of the judge having overstepped the bounds of his job description. My good friend Richard Crowson, the paper’s editorial cartoonist and the best bluegrass picker I’ve ever known, got excited: That was the perfect name for a Bluegrass band! The Cotton Pigue Mentality! I don’t think he actually ever named any of the groups he played in that, but it was a memorable inspiration. A judge in central Tennessee is hoping to help repeat offenders “make something of themselves” by offering them a highly original and probably unconstitutional deal: reduced jail time in exchange for sterilization operations. Under a standing order issued by General Sessions Judge Sam Benningfield, inmates in White County, Tenn., can receive 30 days credit toward their jail time if they volunteer for vasectomies or contraceptive implants, as NewsChannel 5 reported Thursday. The order came down quietly in May, and already dozens of inmates have sought to take advantage of it. Thirty-two women have received implants of the hormone device Nexplanon, and 38 men have signed up to receive vasectomies, according to NewsChannel 5…. Should Tandy Carter lose his job over this? This entry was posted in Band names, Crime and Punishment, Nostalgia, Rule of Law, Working on July 21, 2017 by Brad Warthen. I see no problem with this, it’s a voluntary option for the inmates. The fact that 32 female inmates have already signed up tells you something. The “county judge” office wasn’t exactly what you might think it was. It was really a sort of county administrative official — I seem to recall them presiding over county commission meetings — who also, on the side, presided over what we would call family court. I don’t think they were necessarily lawyers, although some were. Then, while I was at the paper, things changed. 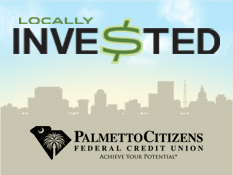 The elected position of “county executive” was created to handle the administrative duties and deal with the county commission (the local legislative body, like county councils in SC). And I THINK separate family court judges came into being. By the way, the guy in the current story is a General Sessions judge. When I was there that was the most basic level of the system — in some ways, kind of like magistrate’s court here. Whatever the crime, you first appeared in general sessions. I’d go there for a murder case and have to listen to shoplifting and similar cases before we got to what I was there for (which was actually kind of interesting to sit through — you saw a nice cross-section of the community’s seamier aspects). In the murder cases, the judge would decide whether to bind the defendant over to the grand jury. If the grand jury indicted, the case went to circuit court, which was the trial court. Yes, this new guy is in White County, which is in Middle Tennessee, which as we all know is like a whole other country from West Tennessee, which is where Gibson County — where Cotton Pigue presided — is located. It wants us to believe we’ll be better off if “those people” don’t reproduce. It’s no prettier now than it was a century ago. Among the other obvious problems with this judge’s action, it also discriminates against inmates on religious grounds. Catholic inmates who wish to stick with their church’s objection to sterilization wouldn’t be able to take part in this program. Though I’m not surprised that a judge in Tennessee would discriminate against Catholics.